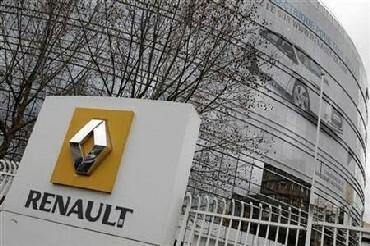 Rediff.com » Business » Can Fluence help Renault heat up Indian car market? Can Fluence help Renault heat up Indian car market? A year after French auto major Renault terminated its joint venture with homegrown automobile manufacturer Mahindra & Mahindra (M&M), the company is back to prove its mettle in the world's second fastest growing automobile market with its premium mid-size sedan Fluence. In its second coming a solo foray this time Renault has chalked out ambitious targets for itself. The company will roll out five models by the end of next year and plans to sell 100,000 units in the next three years. The feat, though not improbable, is a difficult one. US-based automobile manufacturer General Motors, which recently toppled Toyota to become the largest selling car company globally, could achieve the numbers after 16 years. 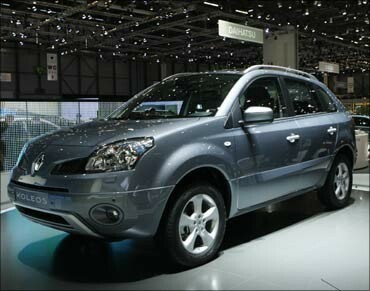 The Logan, which Renault sold along with M&M for over five years, sold around 46,000 units. The fact that the car was preferred by cab operators in large numbers did not quite help the company's cause in building a brand perception in India. Marc Nassif, managing director of Renault India, recalls the Logan experience as a thing of the past. "We believe it is a fresh start for us and courtesy Logan, we are fully prepared and know this market a lot better. Logan did not deliver in terms of sales figures and profitability and that is obvious, but the learning curve has been steep and the results of it would be visible in Fluence and all our future products." 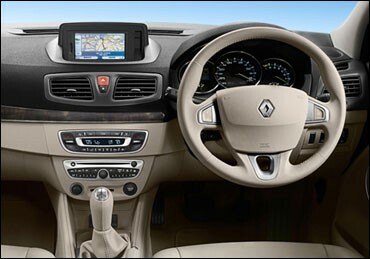 The Fluence will be followed by premium sports utility vehicle (SUV) Koleos, a hatchback and two other cars Renault has planned to launch in India by end 2012. This time, the approach is simple - Renault will adopt a top-down strategy in launching products, provide the "Indian consumer a taste of its technological expertise", and pay detailed attention to the overall ownership experience of the consumer. Nassif elaborates, "There are two things which are requisite for success, the right product. And, we believe we have it. Secondly, we want to enhance the overall ownership experience of Renault cars - right from the moment we sell the cars, to hassle-free maintainence services and easy availability of spares. Each Renault dealership we set up will have one expert technician who has been trained for 43 days in France to help cater to customer needs better. Our performance will help us build brand awareness." Renault has 14 existing sales outlets and the company plans to reach out through 100 dealerships by end 2012. Sudhir Rao, deputy managing director, Renault India says, "This year we are not pushing volumes. We will lay foundations for the brand. By the end of next year when we have five cars on the road, segment-wise we would cover half of the market and geographically 90 per cent of the country." The sales target for 2013 has been set at 100,000 units. 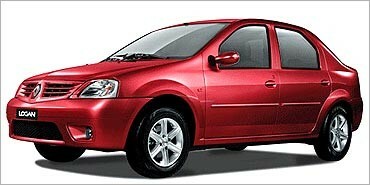 By 2014 Renault is eyeing five per cent share in the Indian automobile industry. Interestingly, Renault, which introduced the Fluence both in petrol and diesel fuel options last week (May 23), has priced the products such that the diesel variant is the entry-level car for the company. 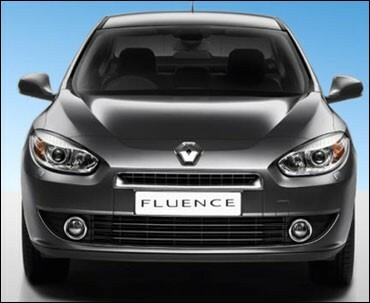 While Fluence (diesel) is priced at Rs 12.99 lakh, the petrol version is dearer at Rs 14.40 lakh (ex-showroom, Delhi). The petrol version has added features. Nearly 70 per cent of sales in the premium mid-size sedan segment come from diesel variants. At such aggressive pricing points, Renault is hopeful it would be able to bring in the numbers. "We want to showcase our technology with the petrol model," says Len Curran, vice-president (sales and marketing), Renault India. "Petrol is our flagship model but diesel is more value-oriented and will drive volumes for us." Nassif says, "India is one of the three key strategic markets for Renault's international operations, besides Brazil and Russia. I see India climbing 20 spots to become the 11th largest country in sales contribution for Renault by 2016." 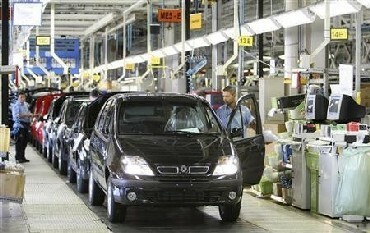 Renault, along with its global alliance Nissan, will invest Rs 4,500 crore (Rs 45 billion) by 2015 at the Chennai facility. The unit will have a production capacity of 400,000 units per annum by mid next year. The French company is additionally considering setting up an engine plant at the facility.